Why Brother of Cloud Computing? The grid computing system is a widely distributed resource for a common goal. It is Brother of Cloud Computing and Sister of Supercomputer. We can think the grid is a distributed system connected to a single network. It works with a large volume of files. Basically, it is a cluster types system. 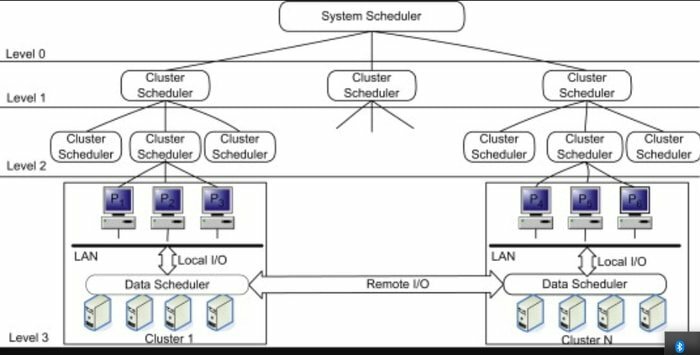 So people call it cluster computing. This system tends to be more geographically disperse and heterogeneous by nature. Grid network also has various types. A single grid is like dedicated connection but a common grid perform multiple tasks. The size of the grid is large. So the grid system is like supercomputing. It consists of many network, computer, and middleware. It’s dedicated to some specific function of the large volume of data. In the grid process, each task divided into various process. All the process starts execution simultaneously on a different computer. As a result, very few seconds needs to execute and enjoy the flavor of supercomputing. Data grid share, store and maintain resource during data processing. All the process performed on a different computer so the process takes less time and offer the advantage of a supercomputer. 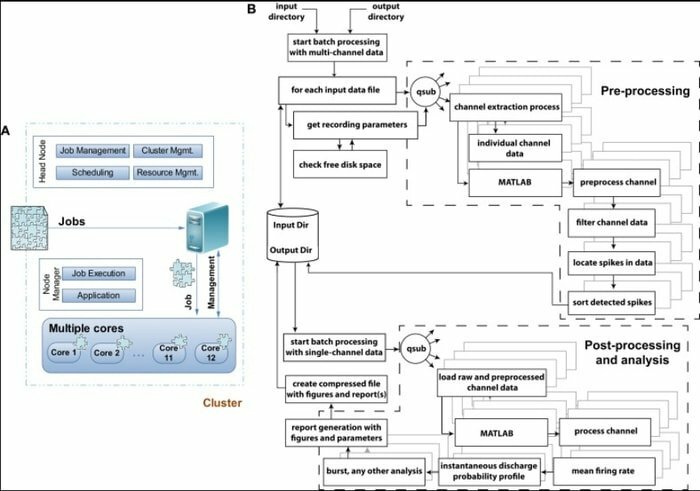 The internal P2P network is an example of data computing. The collaboration of this system promotes operation ability among various department and coordinates together to works simultaneously. Data sharing is highly controlled to reduce the violation of access in each other domain. The main function of this system that this collaboration grid can process more than one process simultaneously. This computing works as a service as per requirement. This grid has the power of all the three grid discussed above. Enterprise grid is a big enterprise develops to coordinate its subsidiaries. This enterprise grid developed by its own venture. It may have one or more data center among the systems. Basically, the network is for better security and privacy. Advanced Resource Connector: It is a grid computing middleware introduced by NorduGrid. Berkeley Open Infrastructure for Network Computing: BONIC is an open source middleware. Grid Computing Info Centre (GRID Infoware) is the authorized website for different grid computing software. You can have a review regarding its software. Cloud computing is a myth of computing. The main target of cloud computing is to provide the support of infrastructure as a service. Grid computing has the same function. Cloud computing is the elder brother. So cloud computing has more two options. Cloud computing also offer platform as a service and software as a service. Grid system performs the task by allocation the memory of a different computer of the grid. Cloud computing perform the same task by its redundant storage and application on the cloud. In this process, both have some limitations. In cloud computing internet is a must. Sometimes it needs a high-speed internet. On the other hand, grid computing uses a local area network. So data cannot access from anywhere. It is also a funny dialogue. Actually, the function of supercomputer and grid computing is the same. The intention of a supercomputer is to perform fast. On the other hand, grid computing has the same purpose. After getting any task grid computing to divide the task and allocate different computer of LAN. A single PC works a single task. So it takes less time to process big data. As a result, the user gets the flavor of a supercomputer. Cloud computing supported by the remote server. It hosted over the internet to manage data. Cloud helps the user to provide on-demand service. It has an integrated hardware and software network. On the other hand, grid computing is a distributed system. It connects all LAN, MAN, and CAN network. The grid does not require internet. Cloud computing has segregation into the private cloud, public cloud, hybrid cloud. It has three models like SaaS, PaaS, and IaaS. On the other hand, grid computer has Distributed Computing systems, Distributed Pervasive Systems and Distributed Information systems. The main goal of cloud computing is to reduce cost. The secondary goal of the cloud is to make data available everywhere. On the other hand, the Grid system focuses on accuracy and speed. It divides its task to the connected computer. People use cloud computing as a low-cost strategy. Cloud computing service providers offer various service. The costing procedure is paid as you go. Both hardware and software are available in cloud computing. On the other hand in the grid system, it takes numerous computer. Both hardware and software are costly for the grid system. Cloud computing is centrally managed by the third party. On the other hand grid systems is a distributed decentralized system. So management systems of the grid system is a little bit difficult. Cloud computing and grid seem the same but there is a lot of difference. The first on is internet based but the second one is LAN based. However, both have a different flavor of computing. So the organization focus on both cloud computing and grid computing.